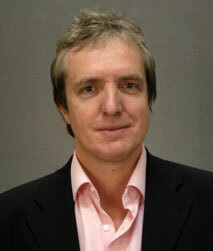 Justin Davis Smith, CBE, PhD, is a Senior Research Fellow at the Centre for Charity Effectiveness, Cass Business School. He was previously Chief Executive of Volunteering England, Director of the Institute for Volunteering Research, and Executive Director of Volunteering at NCVO. He has over 20 years in the volunteering movement and has advised the UK Government, the World Bank, and the United Nations on the development of volunteering policy. He wrote the volunteering strategy for the London 2012 Olympic and Paralympic Games and has published numerous articles and books on volunteering and the voluntary sector. He is a member of the awards committee for the Queen’s Award for Voluntary Service and an advisor to the Queen’s Anniversary Prizes for Higher and Further Education, and served on the Council of the Economic and Social Research Council from 2012 to 2015. In 2011 he was awarded the CBE in the Queen’s Birthday Honours in recognition of his work on behalf of volunteering and the voluntary sector.